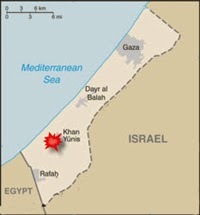 The Poultry Med website, in a short post, has announced that avian influenza, of strain H5N1, most likely similar to the strain in circulation in Egypt, has been identified in the Khan Yunis area of Gaza strip. This is particularly worrisome because in addition to a dense population, this area also has a large amount of unregulated poultry farming industry, present in almost every household. Considering the political environment is also very volatile, it is essential for international aid to support the bid to limit the spread of this rapidly spreading avian influenza. Tags: Avian influenza, bird flu, h5n1, hpai, zoonoses. Bookmark the permalink.